Nowadays, the popularity of startups is rising day by day. 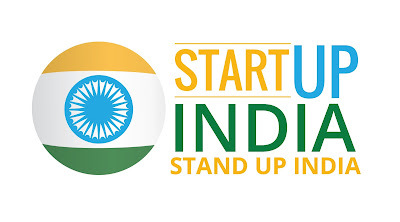 The government under the direction of PM Narendra Modi has initiated as well as promoted Startup India. In order to encourage growth and provide help to the Indian economy, an array of benefits are provided to the entrepreneurs for establishing startups. Simple Process: Government of India has inaugurated a mobile app as well as a website for uncomplicated registration for startups. A person, interested in the establishment of a startup, can fill up an easy form on the respective website as well as upload specific documents. The whole process is fully online. Reduction in Cost: The government gives lists containing facilitators of trademarks and patents. They are going to provide top quality Intellectual Property Right Services in addition to the fast examination linked to patents at smaller fees. The government will carry all fees of facilitator and the respective startup is going to bear the statutory fees only. They will have the advantage of 80% reduction in cost involving with patents filing. Easy Access to Funds: A 10,000 crore rupees fund is arranged by the government for providing funds to the startups in a form of venture capital. The government is providing the guarantee to the lenders to support banks as well as other financial institutions to provide venture capital. Tax Holiday for 3 Years: Startups will be free from income tax for 3 years given they obtain a certification from IMB (Inter-Ministerial Board). Apply for Tenders: Startups are able to apply for government tenders. They are free from the “prior experience/turnover” norms that are applicable for usual companies answering to government tenders. R&D Facilities: Seven new Research Parks are going to be set up to offer provisions to startups in the R&D sector. No Time-Consuming Compliances: Ranges of compliances have been made simpler for startups for saving money and time. Startups will be permitted to self-certify compliance (via the Startup mobile app) with 9 labour as well as 3 environment laws. Tax Saving for Investors: Individuals, who are investing their capital gains in the respective venture funds organized by the government, will receive the exemption from the capital gains. It is helpful for the startups for attracting more investors. Select Your Investor: After the specific plan, the startups will get an alternative for choosing between the VCs, providing them the freedom to select their investors. Easy Exit: In the question of exit, a startup is capable of closing its business within the duration of 90 days from the winding up of the date of application. Meet other Business Persons: Government has suggested for holding 2 startup fests yearly both nationally as well as internationally to allow the different stakeholders linked to a startup for the meeting. It is going to provide enormous networking opportunities. Startups are highly inspired by the government. The advantages given to them are huge and for that reason, more individuals are interested in setting up startups. Some of the startups even helps the daily customer to get cheap deals. For more information, you can look for a respective website or contact an expert in this field.